Pelagic Magic sails out of RPAYC and the CYCA. In 2015 new owner Simon Dunlop and son Graeme entered the Rolex Sydney Hobart Yacht Race with a crew from Canberra and Batemans Bay, placing 21st overall on IRC and 14th on ORCI. In 2016, with a downwind race she finished in the middle of the fleet. Last year the crew travelled to Cowes and combined with an Irish crew to race on a sister Beneteau 40.7 in the Rolex Fastnet Race as well as campaigning in the RPAYC Bluewater Offshore Series. 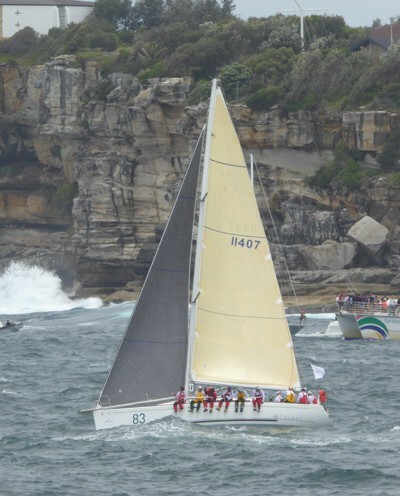 In 2018/19 Pelagic Magic is campaigning in the RPAYC SOPS series and the CYCA Audi Centre Sydney Blue Water Pointscore series including the Rolex Sydney Hobart Yacht Race again with a mixed crew from Canberra, the NSW South coast and Ireland. She finished third in her division in the 2018 Noakes Sydney Gold Coast Yacht Race.